One of the most noble of the Greek red grapes, Agiorghtiko (meaning St.George) is grown mainly in the region of Nemea in the Peloponnese and is considered to be one of Greece’s Best and biggest producing red varietals. It produces wines that stand out for their deep red color and remarkable aromatic complexity. Agiorgitiko’s soft tannins, in combination with its balanced acidity lead to the production of many different styles of wine, ranging from fresh aromatic reds (think Beaujolais Nouveau) to extraordinary aged reds (think complex Merlot). It also produces pleasant aromatic rosés. 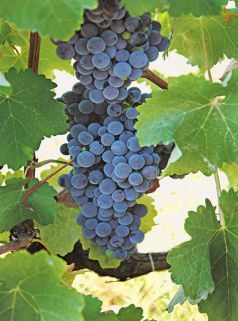 This light, red-skinned grape variety grown primarily on the Greek islands of Crete and Rhodes is usually blended with Mandilaria or Syrah as it tends to lack structure on its own. 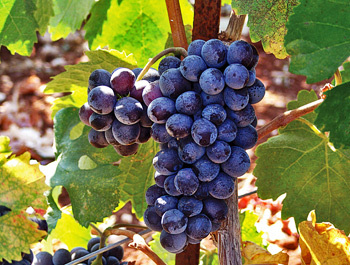 Liatiko is an ancient black-skinned grape variety grown on Crete. Only a handful of producers make wine from Liatiko, but the variety was once of great importance to Crete’s winemakers, particularly during the Middle Ages, when the island was under Venetian rule. Dafnes, in central Crete, is Crete’s only Liatiko-specific appellation; all Dafnes wines must be 100-percent Liatiko. At the far eastern end of Crete, Liatiko is blended with Mandilaria for added depth of color. Common in northern Greece, Limnio is an important Greek grape variety that has been used in red wine production for more than 2000 years. As a varietal wine Limnio is full bodied, high in alcohol and very herbaceous, with a distinctive taste of bay leaves. However, it is most common to find Limnio as part of a proprietary red blend. Increasingly popular are blends involving the international varieties Cabernet Sauvignon and Cabernet Franc. The Mandelaria grape, rich in color, is also known as Amorgiano. It is mainly cultivated on the islands of Rhodes and Crete, producing distinctive red wines. Mandilaria grapes have thick skins full of polyphenols, notably tannins (responsible for the wines’ drying, grippy texture) and anthocyanins (which account for their deep coloration). Based on this information alone, one might assume that Mandilaria wines are typically robust and full bodied, but this is certainly not the case. In fact, wines made from this variety only very rarely exceed 13 percent, and typically lack body. It is for precisely this reason that Mandilaria is most often used in blends, most often with Kotsifali, a paler, less tannic variety. Mavrodaphne, meaning black laurel, is mainly found in the Peloponnese regions of Achaia and Ilia as well as the Ionian Islands. It is blended with the Korinthiaki grape to produce a delicious fortified dessert wine known as Mavrodaphne. It also yields very good results when blended with Refosco, Agiorgitiko and Cabernet Sauvignon grapes. Mavrotragano is a dark-skinned variety grown exclusively on the volcanic Greek island of Santorini. Traditionally cultivated for the production of sweet red wines, it now has a somewhat cult status as a high-quality dry red. Mavrotragano was almost uprooted to the point of extinction during Santorini’s tourist boom, when vineyard land was acquired by developers wanting to build hotels and apartments. At one stage, Mavrotragano accounted for just 2 percent of Santorini’s dwindling vineyard area. With its thick skins and small berries, the resulting wine is dense, deep in color with immense, but soft, tannins. The palate is full bodied, with an array of spicy, stewed fruits, laced with minerals, earth and leather. 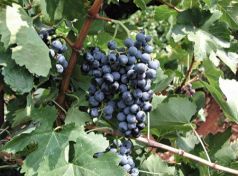 Considered one of Greece’s greatest red, Xinomavro, (meaning “acid-black”) is the predominant grape variety in Macedonia. 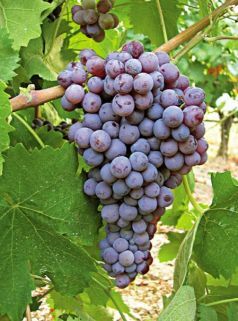 Notoriously fickle to grow, it is a late-ripening variety, producing powerful, structured, richly flavored wines with solid tannins and superb ageing potential. 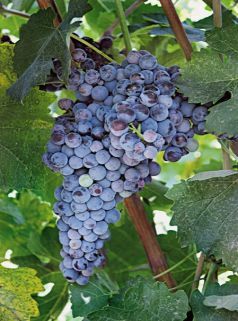 Their complex aromas combine such red fruits as gooseberry with hints of olives and are sometimes compared to Nebbiolo.